DUBLIN CHAMBER of Commerce has dismissed fears that construction of Metro North will cause major disruption for city centre businesses, and welcomed the news that work could begin on the project in April. It has also criticised the city’s current transport infrastructure as “inadequate”, and said investment in the metro was needed to attract new business to Dublin. “The construction of Metro North is essential to tackling the transport deficit in order to attract new business and make Dublin a better city to live and work in,” said Gina Quin, Dublin chamber chief executive. She said the chamber had spent the past two years working with the Railway Procurement Agency, Dublin City Council and other agencies to minimise disruption during the construction phase. Ms Quin said an agreed traffic-management plan would ensure that access was maintained to all premises fronting on to the works for pedestrians and those whose mobility was impaired. All car parks would be maintained, and adequate footpath widths and crossings would be provided. “Dublin’s traffic congestion has cost business billions and jobs coming to Ireland. The public transport story as it stands focuses on the problem of getting people from A to B. But it’s more than that. It’s also about protecting our environment and creating clusters of industries or businesses. “Projects like Metro North and the Luas are vital, not just to move people around more efficiently but to stimulate economic growth as well,” said Ms Quin. The agency said yesterday that work on the long-awaited Metro North line from St Stephen’s Green to Dublin airport and north Co Dublin would begin in April. Following delays in the planning process, An Bord Pleanála last month wrote to the agency stating its intention to issue a decision on the railway order for the metro by the end of October. However, several city businesses are now calling for the Government to cancel the project or postpone it until the economy recovers. Businessman Colm Carroll, who owns nine gift shops in the city centre, has recently launched No To Metro North, a campaign to stop the project which he said would “rip the whole city apart”, costing thousands of jobs and closing firms. Independent MEP Marian Harkin last night joined opponents of Metro North, describing it as “ unrealistic and unnecessary”. “Cost-effective organisations like the Western Development Commission are threatened with closure while multimillion euro vanity projects such as Dublin’s Metro North are to proceed without any proof that they are needed and can stand up to financial scrutiny. The government has told the European Commission that there is no permit for a waste dump on the site of the former Irish Steel plant at Haulbowline in Co Cork. The EU commission has been investigating whether the site complies with EU law after it received a complaint about the dump in 2009. The steel works closed in 2001. In response to a European Commission request for information, the Irish government confirmed that, during a site clean-up organised by officials from the Department of the Environment, a hazardous sludge pit was discovered at the site. The site is owned by the state, which carries all liability arising from it, including any commitment to make it compliant with EU environment law. The department hired a team of consultants to conduct an environmental assessment at the dump, which is now referred to as the east tip. The expert study concluded that there was no threat to human health in the area arising from the dump, despite the presence of significant contaminants on the site. ‘‘Inasmuch as the east tip appears to have served as a disposal site for waste from the steel works during its period of operation, the circumstances point to the need for it to have been the subject of a waste permit under EU waste framework legislation of the European Parliament and of the council on waste," read a briefing given to the European Parliament by Janez Potocnik, EU Environment Commissioner. ‘‘However, the Irish authorities have indicated that the relevant licence under Irish law was invalidated by the Irish High Court in 2004 and that there is currently no permit in place," The update followed a series of queries from Irish MEPs on the EU’s stance in relation to the dump, including one from Fianna Fáil MEP Sean Kelly. ‘‘The Irish authorities have set up a working group to consider the future use of the site and indicated that the relevant permit arrangements are dependent on the outcome of this," Potocnik told MEPs in a letter dated September 1. ‘‘In the light of this information, the commission is considering the next appropriate steps to take," In his query to the commission, Kelly said the Irish National Cancer Registry had ‘‘proved that the island of Cobh has one of the highest cancer rates in the country’’. 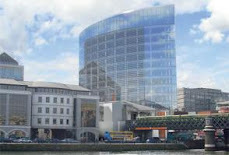 Trade union Siptu has been told to provide a business and management plan for a proposed heritage centre at Liberty Hall, the office tower that the union hopes to redevelop. The union will have to address any conflict between the heritage centre and the "potential perceived negative impacts this building may have on the tourist sustainability of the city's Georgian quarter", Dublin City Council has said. The council also wants further information on the proposed 19-storey building for the site. Further justification of the design is required, it said, and it also wants more details on the "innovativeness of the proposed material finishes" to the building. The original building was constructed in 1965 and, at 17 storeys in height, is Dublin's second-tallest building. Grafton Street, long criticised for its shoddy look, is in line for a major revamp. Dublin City Council is set to spend up to €40m on new paving and street furniture for the pedestrianised street and surrounding area, according to sources, although the council was keen to stress last week the project was in its early stages. "A survey has been carried out on what works need to be done and we have met local businesses including the Dublin City Business Association to discuss the area," a spokeswoman for the council said. She stressed that no figure had been set yet for the revamp of the street. Works are unlikely to begin until next year as the project will have to go through the planning process. Sources said the pedestrian upgrade would reach from Dawson Street to South William Street. The works would fit in with the new city development plan which is being drawn up at present. An amendment currently being proposed states that the council will explore "the extension of the pedestrian zone in the Grafton Area to include the creation of new pedestrian streets". Among the streets being considered for pedestrianisation are South Anne Street, Duke Street, Clarendon Street and South William Street. Property developer Owen O’Callaghan has expressed “bitter disappointment” at the refusal by An Bord Pleanála to grant planning permission for an €80 million, 93-bed private hospital on Lancaster Quay on the Western Road in Cork, writes Barry Roche. The board ruled against the hospital on flooding concerns, even though it recognised the site did not flood last year. O’Callaghan Properties said “even in the midst of the most cataclysmic weather conditions” in November 2009, the site did not flood and this was recognised by An Bord Pleanála. The Stephen’s Green Hibernian Club founded by Daniel O’Connell has been operating from 9 St Stephen’s Green for 170 years. The building itself dates from 1740. In 2005 the club spent €3.4 million restoring the building, including €200,000 on its rare ceilings. “The ceilings date from 1759 and are reputedly the finest examples in Europe; we’ve been told they’re priceless. We recently had a group of 47 architects come to look at them. Yet the RPA have made no reference to them,” said Ray Mooney, the club’s general manager. Vibrations from the construction work are probably the biggest threat to the building. The Dart underground line, which will involve tunnelling directly under the building, represents the single greatest risk, Mr Mooney said, but the combined effect of this, the Metro and Luas BXD was his biggest worry. The club, with its 1,400 members, employs more than 30 people. Mr Mooney said a 10 per cent loss in business could close it down. Colm Carroll has spent 30 years buildings up his business, Carroll’s Irish Gifts. He now employs 200 staff in nine shops in Dublin city centre, seven of which, he says, will be directly affected by the Metro construction. While the numbers of businesses which lodged objections with Bord Pleanála in relation to the Metro project indicates the large level of concern over construction impact, Mr Carroll believes a great many businesses, which are struggling to cope with daily pressures, have not thought through the implications of the project. For this reason he has launched the No To Metro North campaign. Mr Carroll has displayed posters in his shops from St Stephen’s Green to O’Connell Street saying the Metro will “kill Dublin city”. He is also calling on businesses in the city to lobby the Government to stop the project before it is too late. He said in addition to the costs of the construction there would be a huge tax loss to the exchequer of a massive slowdown in business as well as increased dole payments for the workers who would inevitably lose their jobs. He said tourists would not come to the city during the construction. The loss in tourist revenue would clearly have an effect on his business, but he said the potential loss of tourist revenue to the city would be €1.45 billion a year. Wire barriers, “mountains” of earth, rubble, large machinery and almost constant noise are Origin Gallery owner Noelle Campbell-Sharpe’s memories of the construction of the Luas Green line in Harcourt Street. Ms Campbell-Sharpe said she had been told that construction of the Harcourt Street section of the line would be up to eight months. The lack of information on how long the building works would take and the ongoing changes to the completion date made it very difficult to plan exhibitions and shows. One of the main difficulties in running her business was access. At times it was virtually impossible to get into the building. “We certainly almost went out of business. We had to close on occasions and we were very close to closing up completely. As a builder’s daughter, Josephine Kelliher, owner of the Rubicon Gallery, understands that you can’t legislate for every eventuality when it comes to a construction project. Any meetings she has requested with the RPA have been granted, and they have answered her questions as far as they can. However, she says that doesn’t give any guarantee she’ll be able to remain open during the build. Her concerns about access to the building relate not just to customers, but to getting art works into the building. It is likely that paintings will have to be carried from Dawson Street to her building, which may not be possible during construction because of dust and dirt. She said the Metro was a “hugely ambitious undertaking” which would undoubtedly benefit the city in the long term. A COMPANY half-owned by heavily-indebted property developer Bernard McNamara has been refused planning permission by An Bord Pleanála to build a cinema complex and bowling alley in Dundrum, Co Dublin. Cicol Ltd, which Mr McNamara jointly owns with property investor brothers Ciarán and Colum Butler, had appealed against Dún Laoghaire-Rathdown County Council’s decision to reject their plans to develop a site known as Dudley’s Field. The 3.4-acre field, which adjoins the Airfield Estate urban farm, had been purchased by Cicol in 2005 for more than €16 million from the Airfield Trust, which runs the farm, and successive plans to develop it were opposed by the Friends of Airfield group. The group, which is dedicated to “cherishing a piece of the countryside in the middle of Dundrum”, has welcomed the board’s rejection of the proposed bowling alley and cinema complex on the grounds they would “seriously injure the amenities of the area”. This is the second such refusal by the appeals board for the development of Dudley’s Field, which is zoned for “Objective F: open space and recreational amenities”. The earlier decision by the board in 2007 was unsuccessfully challenged by Cicol in the High Court. Delivering judgment in May 2008, Ms Justice Irvine said the development proposed was far in excess of what an intelligent person would interpret as being permitted under the “F” zoning objective. She also referred to a separate local objective to protect Airfield Estate. Friends of Airfield, in their submission on the latest plan, said they believed it would “entail a massive change of use for the area concerned and have significant negative impacts on the adjoining Airfield Estate, as well as surrounding residential areas”. The board, in its ruling on Cicol’s appeal, said it did not agree with the view of the inspector who dealt with the case that a cinema would come within the category of uses permitted or open for consideration as a “cultural building” in the zoning context. NEXT MONTH An Bord Pleanála will issue its decision on the railway order sought two years ago by the Railway Procurement Agency (RPA) for the construction of Metro North. The 18km line would run from St Stephen’s Green to Belinstown north of Swords, with 17 stops including Dublin airport, Ballymun, Dublin City University and the Mater hospital. If the railway order is granted as expected, initial work will begin on the line next April, the RPA said. These “enabling works”, which largely involve diverting utilities, will take approximately a year, with full construction work starting in 2012 and, the agency said, finishing in 2016. Around the time the decision is due, hearings will begin on the RPA’s application for the Luas BXD, the cross-city line designed to link up the original Luas Red and Green lines and the Dart Underground line, which falls under the remit of Iarnród Éireann. The Luas line is no longer in the Government current capital programme; the Metro and Dart Underground remain. Regardless of when construction on these lines goes ahead, all routes ultimately converge on the north west quarter of St Stephen’s Green, making it for several years the biggest construction site in the State. One of the most prominent businesses on this part of the Green is the Fitzwilliam Hotel. Its brochure promotes the “tranquillity and calm” of its location, a statement that may have to be amended when construction begins. Hotel owner Michael Holland has already moved to minimise the risks of a prolonged construction period outside his front door. Through a legal agreement reached with the RPA he has secured the relocation of escalators to the station, the continuance of vehicular access to the front door, and guarantees on the hours of construction, as well as dust and pollution mitigation measures. Securing these guarantees came at a price, which he said few other businesses could afford. Despite these measures the hotel will have to install additional glazing “at considerable expense” in order to ensure the comfort of guests. The hotel learned an expensive lesson during the construction of the Luas Green line, when a senior executive from an international firm was woken at 3am by drilling. As a result the hotel lost a corporate account worth €300,000 a year. Proponents of the scheme say this is short-sighted thinking. The construction phase will undoubtedly be tough, but the compensation will be a top-class rail infrastructure which will be of huge benefit to the city. Mr Holland doesn’t agree. If the Government insists on pursuing the Metro, and the Dart and Luas projects, they should at the least postpone construction until the economy picks up, Mr Holland said, to give small businesses a better chance of coping with the upheaval, and so finance is there to do all three concurrently. Diagonally across the proposed construction site from the hotel, restaurateur Susannah Jackson of Il Posto said experience of other construction on the Green has left her with very specific concerns about the Metro work. The restaurant is tied into a lease for the next 10 years, and for most of this time, Ms Jackson estimates, the area will be a construction site. Drew Flood, general manager of the Cliff Town House, formerly Bentleys, a few doors down, has very clear views on what sort of place the Green will become. Unlike the Fitzwilliam Hotel, Mr Flood says, he does not have the resources to mount a legal challenge to the specific aspects of the project that affect his business. “We’re at the mercy of the RPA. We don’t have the money to hire lawyers – we just have to wait and see what happens to us, and whatever happens, it seems we just have to take it.” The construction plans for the Metro alone would make it impossible for the business to operate, he said. A large sum of money was put into the refurbishment of the building, to develop a high-end restaurant and boutique hotel which caters to a loyal clientele, Mr Flood said. That business is now under serious threat. WORK ON the long-awaited Metro North line from St Stephen’s Green to Dublin airport and north Co Dublin will begin in April, the Railway Procurement Agency has said. However, several city businesses are calling for the Government to cancel the project or postpone it until the economy recovers. Following several delays in the planning process, Bord Pleanála last month wrote to the RPA stating its intention to issue a decision on the railway order for the Metro by the end of October. The agency said if the railway order was granted as expected next month, it would be able to start enabling work on the line in April 2011. One prominent businessman, Colm Carroll, who owns nine gift shops in the city centre, has recently launched No To Metro North, a campaign to stop the project which he said would “rip the whole city apart”, costing thousands of jobs and causing the closure of businesses. However, the RPA has hit back at Mr Carroll’s claims, and said Metro was essential to the long-term viability of the city. The enabling works due to start in April – moving utilities, such as gas, and pipes or broadband lines – would have “some impacts”, said project director Rory O’Connor, but new services would be installed before the old ones were cut and the work would be done in sections to minimise traffic disruption. He said during the construction phase proper, from mid-2012 to 2016, work sites would become “more noticeable”. The front of St Stephen’s Green would be closed to through traffic from Dawson Street to Glovers Alley, with the exception of the set-down area in front of the Fitzwilliam Hotel. Apart from this area there would be no road closures in the city, but Westmoreland Street would be open only to public transport. Access would be preserved to all premises for servicing and deliveries, with “local diversions” where necessary. Although the cross-city Luas BXD line no longer has funding under the Government’s current capital programme, Mr O’Connor said that, pending the approval of Bord Pleanála, the RPA still intended to install Luas track at the Metro construction sites, avoiding the need to dig up these sites later when funding is available for the full Luas project. Mr O’Connor said the construction of Iarnród Éireann’s Dart Underground “will largely run in parallel” with the Metro. However, as the Luas and Dart were separate projects only now at the start of the planning process, there was no guarantee they would be granted planning in time to link up with the Metro construction. Many calls were made for all three rail schemes to be dealt with as one project, but Mr O’Connor said this was never a realistic option. An Taisce have this week expressed concerns with respect to proposals for the N11 / N25 / N30 roads. In June the National Roads Authority (NRA) and Wexford County Council (Wex Co Co) bounced no less than eight supposed “route options” on the population of South East Wexford for a proposed new road from Oylegate just south of Enniscorthy to Rosslare. This manoeuvre has caused consternation and not a little animosity. Using the classic “divide and rule” technique, the NRA has succeeded in getting most of the animosity deflected into local rivalry. Knowing full well that, once they might determine a “preferred route”, the NRA would be supported by the other threatened populations (in order to keep the road out of their backyard), the NRA has also deflected proper examination of rationale. At a time when expenditure anywhere has to be carefully scrutinised, the NRA is still coming up with “Tiger” projects that do not stack up. New roads have to be “obviously necessary” either to circumvent recurrent and increasing bottleneck problems or to accommodate projected increased traffic for an accepted development area or for some other stated or obvious public need. In the case of N11 / N25 route to Rosslare, the quoted focus for Mr Eddie Breen the Wexford County Manager (and Board member of the NRA) is : the Port of Rosslare. Mr Breen has stated that “...it is vital that the roads serving Rosslare Port should be up to the standard enjoyed by its rivals”. This statement begs several questions such as : What are the rival ports to Rosslare ? Why are the current roads considered to be inadequate when it has been proven that they serve the port well ? Will building a new road bring more jobs to the port or to the surrounding area ? Mr. Breen claims that the port is “underutilised” at present and that to be able for the port to “see its full potential”, bigger roads are needed. If this is the case then there should be supporting figures to prove it. There are none. The port got to full capacity in mid 2006 without a new road and without any problem. Since then the port and road traffic volume have slipped steadily backwards. The “Port Lobby” at one time was calling for the port to be expanded but that dream flies in the face of reality. The port is silting up. It only stays open thanks to occasional maintenance dredging of the berths. The port “declares” a depth of 7.5m to a solid rock bottom but at times it struggles to get 6.5m and the narrow fairway only stays clear thanks to the daily passage of the ferries with their big mud-churning propellers. The ferry skippers know that, if for any reason the ferries stopped running for a week or more, they might not be able to access the port if any volume of silt drifted into the fairway. Capital dredging of the port and the fairway would cost many millions of Euro and would not increase port capacity. The Port Lobby may have deliberately falsified the expectancies to get a “chicken and egg scenario” going to try to build the roads first and then to try to justify rebuilding the port. The Annual Average Daily Traffic figures from the NRA's own counters for the N25 into Rosslare showed 6230 in 2002, 7076 in 2006 (peak year), 6603 in 2009 and an estimated 6115 for 2010. The peak figures for August (the busiest month for the port) were already below 2002 levels in 2009.
Who in their right minds would want to use these figures to justify building a new road ? The answer is certainly not Mr. Breen: when challenged with these figures he stated that the new road was for traffic in 20 to 30 year's time (a projection for which nobody has any figures at all). In other words the road is proposed because the NRA guesses it might be needed. Add this charade to that we witnessed for the New Ross Bypass. This route chosen by the NRA flouts the National Development Plan by trying to create a bypass for the N30 when only the N25 is supposed to be provided with a bypass in the NDP. The NRA chose the most expensive route option costed by them at €315 million (for that read €400 million). The alternative route was never properly evaluated and was costed privately at €40 million but was dismissed with a kiddie's comparison chart by the consultant in a woefully inadequate and biased Environmental Impact Statement. The suspicion that there are hidden agendas here is reinforced by checking on potential re-zoning consequent on the routes chosen and on the land owners that could benefit. That aside, the mere fact that the NRA is unaccountable and seemingly cannot be stopped from spending money that we clearly need elsewhere is enough to sound alarm bells but when that money is about to be wasted on unnecessary projects, there should be brakes applied. Since we appear to have a Government of wasters – applying the brakes would appear to be unlikely. When asked about whether he could control the NRA, the Transport Minister replied that he “simply provides the funding”. In terms of sustainable road development : What Wexford really needs are its existing roads repaired and upgraded and some genuine provisions for public transport for a system that will at last serve the people and not the operators. Programmes for building new roads in Ireland's current circumstances simply represent the dreams of NRA planners who should have been made redundant before now and the schemes of some questionably professional consultants. Mr. John Gormley, TD, Minister for Environment, Heritage and Local Government attended the launch of the EPA’s new Environment in Focus website. The environmental indicators’ website was launched at the annual Environment Ireland conference held last week in the Croke Park Convention Centre. Environment in Focus allows easier public access to environmental data that has been gathered by the EPA and external bodies. Information is presented as a dashboard of key environmental indicators arranged under seven themes - climate change, air, water, waste, land, nature and socio-economics. Speaking at the launch, Dr Mary Kelly, Director General, EPA, said - “Environment in Focus has been designed to provide concise, up-to-date information about the Irish environment for the general public and policymakers. "Presented in an accessible format, this website is a clear advance on paper-based indicator reporting. It allows the EPA to fulfil certain EU reporting obligations in close to real-time, while providing environmental assessments to stakeholders in a format that is useable for them. Labels: EPA’s new Environment in Focus website. Opponents of a €350m redevelopment plan for RTÉ's Donnybrook headquarters were mistaken in their belief the project would create an "unmitigated and uninterrupted annoyance and disturbance over 10 years", a planning inquiry has heard. A number of residents and property owners in the vicinity of the RTÉ campus including the German Embassy and financier Dermot Desmond have objected to RTÉ's plans claiming they fail to take into account the level of disturbance and interference with their homes, a number of which are protected structures. In a written submission to the Board Mr Desmond said RTÉ's plans were likely to have "serious impacts" on adjoining properties "many of which comprise embassies, protected structures and sensitive properties". Mr Desmond argued there would be a "very significant" impact on his own house on Ailesbury Road, which was a protected structure. He said his house - and he cited Supreme Court case law which he said had shown such protection included the setting and context of protected structures - should have been addressed in the planning application. Mr Desmond argued that as an occupier he was also entitled to the lawful protection of his amenities. He also pointed to the removal of a garden wall at Mount Errol house on the RTÉ site which is owned by the authority. Again he contended that the wall should be considered as part of the setting and context of Mount Errol as the house was a protected structure. However a conservation architect for RTÉ David Slattery, said Mr Desmond's comments on the garden wall could not be supported. "The walled garden no longer exists. The formal garden has been lost. The only remaining structure is a free-standing rubble stone wall which cannot be said to add to the setting of Mount Errol." In relation to Ailesbury Road houses he said these were different types of detached residences set well back from the road, which were considered to be of architectural significance. But he said there was only one house visible from the site - number 87, Mr Desmond's - while the remainder of the road was masked by planting from the trees. He said there were no significant views or vistas from these houses and on the latest Ordnance Survey map a tennis court was indicated at number 87. "If you take the historic cartilage of Ailesbury Road, this addition of the tennis court is not historically part of the curtilage of the house" he said. Chris Gogarty for Seamus Monahan and Partners which is providing project management services to RTÉ said fears of an unmitigated and uninterrupted annoyance and disturbance over 10 years were wide of the mark. Mr Gogarty said the plan was delivered with carful phasing in mind because of economic circumstances, because of the need for continued use of facilities by RTÉ and because of concern for its neighbours. But he said it was worth remembering that RTÉ was a broadcast facility where live transmission took place. It that respect and noise and vibration were incompatible with the clients business, let alone the neighbour's amenities. OPPONENTS OF a €350 million redevelopment plan for RTÉ’s Donnybrook headquarters were mistaken in their belief the project would create an “unmitigated and uninterrupted annoyance and disturbance over 10 years”, a planning inquiry has heard. A number of residents and property owners in the vicinity of the RTÉ campus, including the German embassy and financier Dermot Desmond, have objected to RTÉ’s plans, claiming they fail to take into account the level of disturbance and interference with their homes, a number of which are protected structures. In a written submission to the board, Mr Desmond said RTÉ’s plans were likely to have “serious impacts” on adjoining properties “many of which comprise embassies, protected structures and sensitive properties”. Mr Desmond argued there would be a “very significant” impact on his own house on Ailesbury Road, which was a protected structure. He said his house – and he cited Supreme Court case law which he said had shown such protection included the setting and context of protected structures – should have been addressed in the planning application. In relation to Ailesbury Road houses, he said these were different types of detached residences set well back from the road, which were considered to be of architectural significance. But he said there was only one house visible from the site – number 87, Mr Desmond’s – while the remainder of the road was masked by trees. He said there were no significant views or vistas from these houses and on the latest Ordnance Survey map a tennis court was indicated at number 87. “If you take the historic curtilage of Ailesbury Road, this addition of the tennis court is not historically part of the curtilage of the house,” he said. Chris Gogarty for Seamus Monahan and Partners, which is providing project management services to RTÉ, said fears of an unmitigated and uninterrupted annoyance and disturbance over 10 years were wide of the mark. Mr Gogarty said the plan was delivered with careful phasing in mind because of economic circumstances, because of the need for continued use of facilities by RTÉ and because of concern for RTÉ’s neighbours. But he said it was worth remembering that RTÉ was a broadcast facility where live transmission took place. In that respect, the noise and vibration were incompatible with the client’s business, let alone the neighbour’s amenities. A FORMER Fine Gael councillor and a classic-winning racehorse owner are to face trial in the circuit court on charges relating to alleged corrupt payments of €80,000. Fred Forsey jnr (41), with an address at Coolagh Road, Abbeyside, Dungarvan, Co Waterford, is facing six corruption charges that allege he received one payment of €60,000 and two of €10,000 from developer Michael Ryan (58), of Kilgobnet, Cappa, Dungarvan, Co Waterford, in 2006. Mr Ryan, with a second address at the Sweepstakes in Dublin, is a well-known racehorse owner and the man behind the Al Eile stud farm outside Dungarvan. The two made their third appearance in court in Dungarvan yesterday, when it was heard books of evidence had been served on them. The payments are alleged to have been made as an inducement or reward to Mr Forsey to use his then position as a Fine Gael member of Dungarvan Town Council to support a planning application by Mr Ryan’s company, ORS Partners. Mr Ryan faces six charges relating to making the corrupt payments on August 25th, October 10th and December 22nd, 2006. Jack Murphy, for Mr Forsey, told the court the book of evidence comprised two volumes and would take “some time” to examine. Insp Paul Heffernan said the Director of Public Prosecutions had consented to a return for trial to the next sittings of Waterford Circuit Court, starting in November. Mr Murphy said the case would not be ready to proceed by then. He said he would apply for legal aid on Mr Forsey’s behalf at a later date. There was no legal aid application for Mr Ryan. The accused came before the courts in August, when they were both granted consent to bail on independent sureties of €20,000. Mr Forsey did not make bail and spent a week in Cork prison. He retired from politics in 2007 and moved abroad after spending four years on Dungarvan Town Council. He was arrested in August when he returned to Ireland for a wedding. THE COMPANY best known for building motorways, Siac, has run into opposition from the National Roads Authority over the company’s plans for a major development at its former quarry in Clondalkin, west Dublin. Formerly known as the South of Ireland Asphalt Company, Siac sought a 10-year permission for a mixed-use scheme consisting of 380 apartments, six retail units, a cafe/restaurant and 24,259sq metres of office space on the 16-acre site off Monastery Road. The Monastery Gate Action Group claims the Siac site, which is located near the M50’s Red Cow roundabout, was where Brian Boru and his army camped before the Battle of Clontarf in 1014 and lies at the entrance to the monastic site of Clondalkin. The site is currently used as a manufacturing and supply facility for asphalt and the storage of ancillary plant and machinery. With a drop of up to 9m due to previous quarrying, it is said to be “well screened by a variety of mature trees”. Recommending a refusal, the authority said the proposed development would generate excessive queuing and delays at the Monastery Road/N7 overbridge junction, which could potentially lead to tailbacks on the N7 and increase the risk of traffic accidents. However, South Dublin County Council decided to approve an amended version of the scheme, saying it was broadly in line with a development brief approved by the council in November 2007 – even though some 50 objections were received, mainly from local residents. It was also opposed by several public representatives in the area, including Paul Gogarty TD (Green Party), Senator Frances Fitzgerald (Fine Gael) and Cllr Robert Dowds (Labour). Mr Gogarty, in his submission, said it should be “rejected in its entirety”. Following the council’s adoption of the an action plan for the Clonburris Strategic Development Zone, to the north of Clondalkin, Mr Gogarty said there would be an “adequate residential supply coming on stream in the general Clondalkin area for the next 30 years”. Under the Siac scheme, designed by architects O’Mahony Pike, three levels of basement parking for up to 1,500 cars would be installed in the former limestone quarry, and two of St Brigid’s Cottages would be demolished to provide a new road access to the site. In his submission, Mr Dowds objected to the development of so many apartments in blocks up to eight storeys high, saying it would be “bad for social cohesion in this part of Clondalkin” as most would probably be occupied by tenants on the council’s housing list. The council’s planners considered that the scheme originally proposed “would constitute overdevelopment of the site and would result in a poor-quality environment for future residents, particularly for families” and recommended the omission of 23 apartments. It is expected that many of the objectors will now lodge appeals with An Bord Pleanála against the council’s decision, which specified that the planning permission should have a standard life of five years rather than the 10 years originally sought by Siac. Shell E&P Ireland has resumed investigative work on the proposed new Corrib pipeline route in north Mayo, following suspension of activity when two Shell to Sea campaigners boarded one of the drilling rigs. The two campaigners from the Rossport Solidarity Camp secured themselves with a hammock under the drilling rig for a period of 12 hours from shortly after 7am to 7pm. They were wearing dry suits and had food, and left voluntarily at 7pm, when work was due to finish on the drilling rigs under the licensing terms. Two other protestors were arrested by gardaí earlier yesterday during the demonstration, which began when some nine kayakers and swimmers approached the two drilling rigs contracted by Shell to drill up to 80 boreholes in Sruwaddaccon estuary, a special area of conservation. The two detained were later released and a file sent to the Director of Public Prosecutions (DPP). One Garda rigid inflatable boat (RIB) and up to 13 Shell and security ribs were monitoring the demonstrators throughout the day and yesterday evening. An attempt was made to start work with a second drill on the platform at 9am yesterday, but was halted after complaints by protestors on health and safety grounds. A third woman who had been detained in the protest was left in the water by a rib, and had to be rescued by one of the camp members. Camp member Róisín Ní Fhaoláin said that the group felt the protest was justified, in the light of An Taisce’s submission to the Bord Pleanála oral hearing in Belmullet last Friday. An Taisce called for the oral hearing into a revised route for the pipeline to be adjourned or new information submitted by Shell must be disallowed. In an 80-page submission, it said that appellants did not have time to assess new information submitted by Shell to the hearing in relation to its investigative work in Sruwaddacon estuary, which has been licensed by Minister for Environment John Gormley. “We've stopped the work this morning to protect this beautiful SAC,” Ms Ní Fhaolain said. Gardaí confirmed that there had been two arrests. Shell E&P Ireland was unavailable for comment. The Bord Pleanála hearing into the new pipeline under the Strategic Infrastructure Act is continuing this week in Belmullet. BUSINESSMAN NIALL Molloy has been granted planning permission by An Bord Pleanála to demolish three houses and replace them with 37 apartments in a four-storey block at 131 Dublin Road, Sutton, Dublin 13. Fingal County Council had earlier granted permission for 35 apartments but an inspector with the board, Pauline Fitzpatrick, had recommended that the permission be refused on the grounds that such a building would be visually obtrusive and would seriously injure the amenities of property in the vicinity. SHELL EP Ireland has resumed investigative work on the proposed new Corrib pipeline route in north Mayo, following suspension of activity when two Shell to Sea campaigners boarded one of the drilling rigs. The two campaigners from the Rossport Solidarity Camp secured themselves with a hammock under the drilling rig for 12 hours on Monday from shortly after 7am until 7pm. They were wearing dry suits and had food, and left voluntarily when work was due to finish on the drilling rigs under the licensing terms. Two other protesters were arrested by gardaí during the demonstration, which began when nine kayakers and swimmers approached the two drilling rigs contracted by Shell to drill up to 80 boreholes in Sruwaddaccon estuary, a special area of conservation. The two detained were later released and a file sent to the Director of Public Prosecutions. One Garda rigid inflatable boat and up to 13 Shell and security inflatables were monitoring the demonstrators throughout the day. LEITRIM COUNTY Council is to hold a special meeting today to consider whether to mount a legal challenge to An Bord Pleanála’s decision to give the go-ahead to two broadband masts in the county. Local residents are furious at the decisions in relation to the masts at Aughacashel and Carrigallen, which they say are in breach of the county development plan. This prohibits the construction of such telecommunications structures within 500m of residential dwellings. Amid widespread local concerns about the health implications, the company involved, 3G Ireland, said that “even the World Health Organisation” had accepted there were no health risks. Brian Purcell, a spokesman for the company, said it was working on behalf of the Government, having won a tender in December 2008, to bring broadband to rural areas. “This is the most enabling technology since rural electrification,” said Mr Purcell. He said people operating small businesses in local areas were demanding a service that people in cities had taken for granted for some time. “This will allow people to operate businesses and rear their children in rural areas. It will allow them to do things others take for granted, such as online banking or booking their Ryanair tickets,” he said. But locals said there are already six masts in the Aughacashel area providing mobile and broadband services and that “only a handful” would benefit from the new structure. Cllr Francis Gilmartin (Fianna Fáil), like most of his colleagues, is angry at the board’s decision to overturn the county council’s refusal of planning permission. Today’s meeting has been called to discuss whether the local authority should seek a judicial review of the two board decisions. More than 90 local people objected to the Aughacashel mast, which they say is within 500m of four dwelling houses and within 300m of a group water scheme. “Leitrim County Council has no money and I don’t know where we will find €100,000 to fight this case,” Mr Gilmartin said. But he said councillors and local people felt strongly that there was no point in working hard to draw up a county development plan, “if it can be ignored by faceless people in An Bord Pleanála”. THE FIRST of what is expected to be a number of appeals has been lodged against plans to construct a €200 million wind farm on Mount Callan in west Clare. Last month, Clare County Council granted planning permission to West Clare Renewable Energy Ltd for the 28-turbine wind farm. The proposed 410ft-high wind farm on 3,000 acres of upland around Mount Callan will provide sufficient energy to power 59,000 homes. However, an appeal has now been lodged against the development by Connellan Associates, on behalf of Noel Connellan. A decision by An Bord Pleanála is not expected until next year. In the appeal, Connellan Associates acknowledge that while Slieve Callan is zoned as a strategic area for wind farming, the area is also designated as “visually vulnerable”. The appeal states: “The more robust the landscape, the greater the flexibility to locate a development of this nature. The appeal also claims that villages such as Connolly would be adversely affected. If granted planning permission, the development is expected to provide 30 farmers with an aggregate €775,000 each year from the 20-year operation of the wind farm. The dividend equates to €516,666 for each of the farmers over the course of the project. The local communities of Connolly, Inagh, Kilmurry Ibrickane, Miltown Malbay and Kilmaley are also to benefit by receiving €46,500 per annum when the wind farm is fully operational. The promoters state that in total the project will provide €26 million to the landowners, local community and Clare County Council over its duration. The council will receive €10 million in rates during the course of the wind-farm plan. DEVELOPER Seán Dunne ’s woes in Ballsbridge continue. Dublin City Council’s decision to allow him to redevelop his portion of the AIB Bankcentre grounds in Ballsbridge, Dublin 4 into a six-building office complex with shops, restaurants and a café has been appealed to An Bord Pleanála by nine parties, including local residents, AIB and An Taisce Dunne bought the site in 2006 from AIB after the centre was sold in three parcels. AIB argues that the development will encroach on the plaza in front of the bank and says that when the site was sold, the deed of transfer stated that the plaza was to be kept free from development, because it would disturb the visual link between the acclaimed 1970s-built bank building and Merrion Road, making it less accessible to the public and throwing the plaza into darkness. An Taisce got its tuppenceworth in to say the development would have a negative impact on the setting of the RDS and number 32 Merrion Road, both protected structures, and called it “grossly overscaled” with a preponderance of office space. Ballsbridge residents are not happy with the design and height of the development, located at the junction of Merrion Road and Serpentine Avenue in Ballsbridge. Sandymount and Merrion Residents Association and Upper Leeson Street Area Residents Association say it would have a negative effect on homes on Serpentine Avenue, as well as on the RDS and Ballsbridge. CAMPAIGNERS IN Co Monaghan who are opposed to elements of the planned North-South interconnector project have called on Minister for Energy Eamon Ryan to clarify his position on meeting with them. The Co Monaghan Anti-Pylon Group last week said an announcement by Eirgrid that it will spend millions on a new application for planning permission for the high-voltage power line was a “perversion” of the planning process. It has sought meetings with Mr Ryan, but he has said it would not be appropriate for him to intervene. An error in the original application for the €280 million line through Meath, Cavan and Monaghan forced the State’s electricity network operator, Eirgrid, to withdraw the application on June 29th midway through a Bord Pleanála hearing into the issue. In a statement, the anti-pylon group said Mr Ryan’s Green Party colleague, Trevor Sargent, had previously claimed he had secured the Minister’s intervention on behalf of his own constituents, in relation to the east-west interconnector pipeline between Ireland and Wales. Eirgrid was granted permission by An Bord Pleanála for that project last year, but it is opposed by residents of Rush in north Dublin over health and safety concerns. In August, Mr Ryan contacted Eirgrid over the possibility of changing the route to avoid Rush. Mr Sargent said at the time he was “delighted” the people of Rush would be able to discuss their concerns directly with the chief executive of Eirgrid following discussions with the Minister. In response to criticism from the Monaghan group last week, Mr Ryan’s office said he “does not intervene in the day-to-day planning in relation to transmission infrastructure”. The anti-pylon group yesterday called for clarification on the matter and accused the Green Party of “trampling on the concerns of rural voters” while bending over backwards in defence of its urban base. “As representatives of over 10,000 residents and landowners across Co Monaghan who are concerned about elements of this project, we have repeatedly and courteously sought a meeting with Mr Ryan to discuss our concerns and seek his assistance,” the group said. It called on Mr Ryan to “immediately clarify” why he felt it appropriate to intervene in relation to the east-west interconnector project in Rush, but felt it inappropriate to intervene in relation to the North-South project a few miles up the road. LEITRIM COUNTY Council is to ask Minister for the Environment John Gormley to introduce legislation outlawing the construction of telecommunications masts within 500m of houses and schools. Members of the council were furious at An Bord Pleanála’s decision to give the go-ahead to 3G Ireland for two 30m masts at Aughacashel and Carrigallen. Following legal advice, council members voted not to pursue a court challenge against the planning board’s decision on the two masts, which they felt breached the county development plan. Leitrim county manager Jackie Maguire told councillors at a specially convened meeting that the council’s legal advice was that it did not have a case. Fianna Fáil councillor Francis Gilmartin said it appeared the county development plan was merely “aspirational” and that the planning appeals board was not bound by it. After being informed they did not have legal basis to seek a judicial review, 16 councillors voted not to pursue the challenge while three voted to proceed with it. Mr Gilmartin said the council would appeal to every local authority and to all TDs and Senators to join them in lobbying Mr Gormley to amend the legislation so masts could not be built within 500m of schools or houses. “He is a Green Minister so I think he should do this. He has done a lot of things I would not agree with – as far as I am concerned human safety is a lot more important than bats or hares,” said Mr Gilmartin. He said he knew many people were annoyed with him and his party colleagues for not pursuing the court challenge, “but there is no point asking for legal advice and then ignoring it”. A spokesman for 3G Ireland insisted there were no safety risks, and the “non-ionizing radiation” was equivalent to that emitted by a baby monitor. AN BORD Pleanála has postponed a preliminary hearing on plans for a city-centre link between Dublin’s two Luas lines after discovering the senior planning inspector appointed to deal with the case had what it called “a possible perceived conflict of interest”. In its notification to some 80 parties, the appeals board said it had “come to the board’s attention that the inspector appointed to examine this application attended a public information exhibition in connection with the proposed project approximately 18 months ago. The board is confident that such attendance would not have influenced the inspector or have given rise to prejudice or bias in the performance of her duties. The hearing, which was due to open today, was to have been held by senior planning inspector Anne Marie O’Connor. However, it is understood that one of the parties – who the board declined to identify – drew the board’s attention to her attendance at the exhibition. “It’s for them to say who it was,” a spokesman said. One planning source who did not wish to be identified commented that the potential conflict of interest in the latest case involving Luas was “relatively innocuous”, as any member of the public was entitled to attend the Railway Procurement Agency public information exhibition on plans for the city-centre link. The agency has sought approval from An Bord Pleanála for the construction of the new Luas line, which would run for 5.6km from St Stephen’s Green – where the Sandyford line terminates – to Broombridge in Cabra. It would run through the city centre via Dawson Street, Nassau Street, Lower Grafton Street, College Green, Westmoreland Street and O’Connell Street, returning via Marlborough Street, Hawkins Street and College Street via a new bridge over the river Liffey. The appeals board expressed regret that it was necessary to postpone the preliminary hearing, to allow for the appointment of a replacement inspector. But its spokesman said this would involve no undue delay in dealing with the agency’s application. The board has become particularly sensitive to potential conflicts of interest after losing a High Court case over how it handled plans for a landfill at Usk, Co Kildare. The court quashed its decision to grant permission, saying it had shown “objective bias”. In another case, involving Dublin Port’s controversial plan to infill 52 acres of Dublin Bay, An Bord Pleanála had to dispense with the services of HR Wallingford, its technical advisers on the application, after it emerged that they had undertaken work for a potential rival, Bremore Port. Earlier this month, the board denied there was any conflict of interest in one of its members, Conall Boland, handling a case involving heavily contested plans by the Cosgrave Property Group for 600 apartments on the former Dún Laoghaire Golf Club lands. He had previously worked for RPS, who acted as consultants on the scheme. PUBLIC hearings into two of the biggest infrastructure projects planned by the State are expected to begin next month. An Bord Pleanala said yesterday that preliminary hearings into the €3bn DART Underground project and Luas line BXD would take place in Dublin next Friday, with full hearings likely in October. The Railway Procurement Agency (RPA) plans to link the Sandyford and Tallaght Luas lines, before continuing to Broombridge to service DIT's new campus at Grangegorman. If approved, the line will run from St Stephen's Green to Dawson Street, College Green, across O'Connell Street and to Parnell Square, continuing to Cabra. Iarnrod Eireann is also seeking permission to build the DART Underground, which will involve the construction of 8.6km of new rail in the city. The tunnels will connect the northern and Kildare rail lines with underground stations located at Spencer Dock, Pearse Station, St Stephen's Green, Christchurch and Heuston Station, as well as a street-level Dart station at Inchicore. If approved, it will extend the DART to Maynooth and Hazelhatch/Celbridge. Both projects are expected to result in significant disruption to the city centre because main streets, including Westmoreland Street and O'Connell Street, will have to be dug up. A WEEK-long public hearing into plans by RTE to redevelop its 31-acre Montrose campus in Dublin 4 opens today. Objections from businessman Dermot Desmond, the German Embassy and An Taisce are expected to dominate the hearing which takes place in the Stillorgan Park Hotel. The public hearing comes after Dublin City Council approved a €350m plan to redevelop the site last April. The so-called 'Project 2025' will result in the razing of the television building and radio centre, to make way for a new complex to be built over a 15-year period. But 10 parties have objected, including the German embassy, which has raised security issues with RTE. An Taisce also says the buildings should not be demolished because they include protected structures of national importance. Mr Desmond, whose home adjoins the campus, said he was entitled to be "protected from insensitive and inappropriate development". His rights were not considered by the broadcaster, he said, and his home would be overshadowed if the plans were approved. RTE will begin giving evidence today, followed by residents' groups. The National Roads Authority will outline concerns about traffic on Wednesday and Thursday, and Mr Desmond's legal team is expected to make its submission on Friday. If approved, the project would see the gradual replacement of most of the current 1960s and 1970s buildings on the Donnybrook site with a purpose-built 500,000 square foot (46,500 square metre) complex designed for the digital and high-definition age. It will begin with construction of new high-definition digital TV and digital radio studios, including a new 'Late Late Show' studio that can hold 800 people -- twice the capacity of the current studio. When complete, the complex will have production areas, rehearsal and performance spaces and staff offices. An auditorium for the RTE orchestras, which will be available to local groups, is also planned, along with a new entrance from the Stillorgan dual-carriageway. The building will rise to six storeys on the Stillorgan dual-carriageway side. The development is being planned because RTE must invest in new digital broadcast production and transmission facilities. But it says housing these new technologies in the current buildings is not feasible because they were built in the 1960s and are unsuitable. Residents’ groups in Monaghan who are opposing elements of the Government’s €280 million North-South interconnector project have accused Minister for Energy Eamon Ryan of being “disrespectful” refusing to meet them. The Co Monaghan Anti-Pylon Group said an announcement by Eirgrid that it will spend millions on a new application for planning permission for the high-voltage power line was a “perversion” of the planning process. An error in the original application for the line through Meath, Cavan and Monaghan forced the State’s electricity network operator, Eirgrid, to withdraw the application on June 29th last, midway through a Bord Pleanála hearing into the issue. The public notice, which was part of the application, stated the pylons supporting the power lines would be between 23 and 37 metres high, but it should have read 23-44 metres. Eirgrid will have to resubmit its application for permission to build the €200 million power line to An Bord Pleanála and go through a second public hearing. Spokesman for the anti-pylon group Owen Bannigan said residents now faced mounting costs as Eirgrid planned “another taxpayer-funded attempt to have the project approved”. He said the group had been forced to spend “a substantial six-figure sum” raised by the people of Monaghan to successfully fight the initial application. He said this had never been a case of “not in our back yard” and that residents had “repeatedly offered constructive solutions and suggestions, and have been repeatedly ignored”. Mr Bannigan said that until the matter was resolved, thousands of people had to live with uncertainty around the value of their land, fear of the costs of another oral hearing, and concerns over the health risks of the project. It had sought meetings with Mr Ryan to discuss the issue on a number of occasions but the requests had been “rebuffed” every time. A spokesman for the Minister said the planning and construction of electricity transmission infrastructure was a matter for EirGrid as Ireland’s statutory transmission system operator. “The Minister does not intervene in the day-to-day planning in relation to transmission infrastructure,” the spokesman added. The Minister had met with community representatives who were opposed to aspects of the development during the pre-planning consultation phase. He had also commissioned an independent report into the “comparative merits of overhead lines versus underground cables” and arranged for the consultants who completed the report to address the Joint Oireachtas Committee on Communications, Energy and Natural Resources. “The Minister has no role in relation to the planning process which is a function of An Bord Pleanála as the independent statutory authority in respect of strategic infrastructure developments. The original planning application was made last December, and the public hearing began in May. An Bord Pleanála may not now be able to make a decision until next year, when the lines had been scheduled to be in place. SHELL EP Ireland has said if permission is given for the last section of the controversial Corrib gas pipeline, it expects local resistance to escalate. The resumed An Bord Pleanála hearing into the project, which opened three weeks ago, has been extended for another week due to lengthy questioning by objectors. At yesterday’s hearing in Belmullet, Co Mayo, Shell expert witnesses addressed questions put by locals about design, stability and safety of the project. However, he said he hoped the oral hearing process would help to assure people the pipeline was safe. The resumed hearing is deliberating on a revised application by Shell, which involves tunnelling a section of the pipeline route under the Sruwaddacon estuary, an area of conservation. It has also examined compulsory acquisition orders by Shell for access to lands along the newly modified route, the third proposed by the developer. Gerry Costelloe, for Shell, said the codes of practice for safety to be applied to the project had been set by a technical advisory group under the Department of Communications, Energy and Natural Resources. AN TAISCE has called on An Bord Pleanála to adjourn the ongoing hearing into the controversial Corrib gas project in Belmullet, Co Mayo. In an 80-page submission on behalf of the national trust, Attracta Ui Bhroin said yesterday either the hearing must be adjourned or new information by Shell must be disallowed. Citing the particular pertinence of “the very technical nature of the new borehole log information, presented by the applicant after the hearing reconvened”, she noted that observers did not have time to properly assess this, as was their legal right. She referred to legal requirements under EU legislation (Directive 85/337/EEC). Earlier this summer, Minister for the Environment John Gormley issued Shell with a foreshore licence to carry out investigative works for a 4.9km tunnel under Sruwaddacon Bay, a special area of conservation. The resumed planning appeals board hearing is under the remit of the Strategic Infrastructure Act and is deliberating on a revised application by Shell, which involves tunnelling a section of the pipeline route under the Sruwaddacon estuary. The application is simply out of time. The hearing continues next week. ALMOST 400 groups and individuals have been invited to An Bord Pleanála preliminary hearings next week on the proposed Dart underground and cross-city Luas lines. The planning board is holding the meetings to establish how much time it needs to set aside for both hearings and what sized venues will be required. It is expected to announce dates for the full public hearings soon after. Some 278 parties who made submissions and objections to the Iarnród Éireann Dart underground plan will be invited to address the hearings. A further 91 letters have been sent to those who made submissions on the Luas line, which is under the remit of the Railway Procurement Agency. The lower number of submissions does not necessarily indicate a lesser interest in the Luas line, An Bord Pleanála said, as residents often group their submissions and objections together. However, as the Luas is no longer included in the Government’s capital spending programme, it is likely to be of less immediate concern than the Dart underground. The 7.6km line from the docklands to Inchicore will link Heuston Station to the Dart for the first time. The line will also connect with the planned Metro North at St Stephen’s Green. An Bord Pleanála is due to make a decision on Metro North next month. The Luas BXD, known as the “missing link”, is a 5.6km line running from the Luas Green line at St Stephen’s Green to the Iarnród Éireann station at Broombridge in Cabra. If constructed, this line would link the Green line from Sandyford to St Stephen’s Green with the Red line from Tallaght to Connolly Station. The lines would meet up at O’Connell Street. The Luas BXD would then run to Parnell Square, Broadstone, Phibsborough and Cabra. Provision would be made for a future stop at Grangegorman once the DIT campus had relocated to the former hospital site. Separate hearings for both projects are likely to take several weeks. Tunnelling under residential and historic buildings is likely to be the most contentious issue with the Dart underground. In relation to the Luas line, Dublin City Council, the Dublin City Business Association and a number of other bodies have already told An Bord Pleanála they consider the use of overhead wires in the heart of the city centre to be unacceptable. Business interests in the city are likely to raise concerns about the disruption and closure of streets during the construction of the line. A NEW round of public consultations on controversial plans for a dual-carriageway bypass of Slane, Co Meath, has been ordered by An Bord Pleanála, with October 15th set as the closing date. A public notice advertising the new round of consultations was published recently in national newspapers. The original consultation period closed on February 25th last. An Bord Pleanála had sought additional information from Meath County Council on the road scheme, including whether an alternative route running to the west of Slane had been examined. The current proposal, which is being advanced on behalf of the National Roads Authority (NRA), would run to the east of Slane, some 500 metres from the boundary of Brú na Bóinne World Heritage Site. The appeals board also sought alternative designs for a new bridge over the river Boyne, noting that the cable-stayed bridge originally proposed would be visible from the World Heritage Site. It also wanted the council to produce more detailed archaeological and geophysical reports on investigations of 44 archaeological sites that would be affected by the original scheme. The information was sought “in order to clarify certain points in the environmental impact statement [EIS] and assist the board’s assessment of the likely effects on the environment” of the road. This followed complaints to An Bord Pleanála by the Save Newgrange group, former attorney general John Rogers SC and leading archaeologist Prof George Eogan that the EIS was flawed. LUAS bosses have rejected calls from Dublin City Council to put power lines underground, writes Paul Melia. The council opposed plans to use overhead power cables in the proposed link-up of the two Luas lines because of their impact on the capital's architectural heritage. But the Railway Procurement Agency (RPA), which plans to link the Sandyford and Tallaght lines, rejected the council submission, as it could cost "tens of millions" of euro. The overhead lines would have to be removed from more than 35km of track and replaced with an underground system, which would add considerable expense to the project. The RPA also said that underground power lines were "unproven" technology and it could not gamble that they would work. In a submission to An Bord Pleanala, the city council said the Luas would travel from St Stephen's Green to Dawson Street, College College, across O'Connell Street and to Parnell Square and pass by some of the city's most significant buildings. College Green had a "progression of exceptional classical buildings", including the Bank of Ireland, and they should not be compromised by cables and wires, it said. An Bord Pleanala is expected to announce a public hearing into the project in the coming weeks. Planning permission was sought last June to construct the link, called Luas Line BXD. CINEMa fans on Dublin's southside are to get a new 11-screen cinema on top of the car park at Stephen's Green Shopping Centre. Dublin City Council's planning officials have approved the project, which will have the capacity to accommodate up to 1,850 movie-goers. Sources close to the developers said that they hoped to start work on the project next year, depending on the finalisation of the planning process. Ward Anderson, the country's long-established and largest cinema chain, plans to develop the project in conjunction with the shopping centre's landlord, Irish Life Assurance. Ward Anderson also operates the only other commercial south-city cinema, The Screen, facing the northern side of Trinity, and is also planning to re-open the cinema at The Square in Tallaght. Ireland has one of the highest cinema audiences in the world per head of population and more than 17.6 million people are expected to attend films this year. Planning permission was granted in 2006 for the construction of a new civic amenity site/recycling centre at Carrigeen, Clonmel and a certificate of registration was granted by the Environmental Protection Agency in 2008. Following a successful application for funding from the Department of the Environment, Heritage and Local Government, construction is due to commence in mid-September 2010. The need for a recycling centre in Clonmel was identified in the Joint Waste Management Plan for the South East Region in 2006. The recycling centre will serve the Clonmel town and environs catchment area of 20,000 people. This new recycling centre will be very similar to the South Tipperary County Council's award winning recycling centre at Waller's Lot, Cashel. The site will service the public by accepting a wide range of recyclable materials - and, when open in spring 2011, will replace the existing civic amenity site at Legaun, Clonmel. It will be located adjacent to the Council's existing machinery yard at the rear of the Carrigeen Business Park and will be accessed from the Carrigeen roundabout on the N24 Clonmel Inner Relief Road (Frank Drohan Road). The EPA’s Office of Environmental Enforcement (OEE) has published its Focus on Landfilling in Ireland report. The report examines the standards of operation and management at landfills in Ireland and charts the progress made since the EPA began licensing this sector 15 years ago. The report charts the fall in the number of municipal waste landfills over the last 15 years - falling from almost 100 landfills in 1995 to 30 facilities today, all of which are licenced to operate by the EPA. During this time, there has been a dramatic improvement in the performance indicators for landfills - as shown in the table below. This EPA report also sets out the challenge facing Ireland to divert enough biodegradable waste from landfills to meet increasing targets set by Europe. Additional waste infrastructure will be needed to treat this kind of waste and more markets needed for the resulting compost. The report highlights the compliance and enforcement issues that remain with this sector - in particular the fact that 71 per cent of all complaints against licensed facilities related to odour nuisance. * 15 landfill operators were prosecuted between 2001 and 2009. Fines and costs totalled €261,188. * 434 audits and inspections of landfills were undertaken by EPA inspectors in 2008/2009 in addition to almost 200 monitoring visits to sample surface water, groundwater, leachate and landfill gas. * 207 Notices of Non-Compliance were issued to landfills in 2008/2009. The EPA has identified compliance priorities for the landfill sector that will be the focus of its enforcement effort. * Dealing with legacy landfills. Council Directive 1999/31/EC of 29 April 1999 on the landfill of waste imposes minimum standards for landfilling on EU Member States. The Landfill Directive came into effect on the 16th July 2001 and all landfills were required to comply with its general technical requirements by 16th July 2009 at the latest. The first Landfill Directive target for diversion of biodegradable municipal waste applies from the 16th July 2010 for Ireland. In 2008, 1,196,044 tonnes of biodegradable municipal waste were landfilled. * Landfilling of BMW results in high emissions of methane which is a greenhouse gas and a potential source of odour nuisance. * Ireland faces daily fines for non-compliance with Landfill Directive targets for diversion of BMW from landfill. * Almost 1.2 million tonnes of BMW were landfilled in 2008; just 0.916 million tonnes can be landfilled in 2010, reducing to 0.610 million tonnes in 2013 and 0.427 million tonnes in 2016. * The landfilling of waste produces landfill gas which poses an environmental risk if not managed properly. * Landfill gas must either be collected and used to produce energy, or flared according to EPA guidance. * Landfill gas is odorous and accounted for 71% of all complaints in relation to licensed facilities in 2009. * Decommissioned landfills continue to pose an environmental risk and require proper * Significant financial provision is required to fund closure, restoration and aftercare costs. * Landfill gate fees have declined by one-third between 2004 and 2008, which raises concerns in relation to funding of closure, restoration and aftercare costs, in particular. * Over 300 landfills were operated by local authorities between 1977 and 1997 without specific authorisation. These have now been registered by the local authorities and the EPA is in the process of risk assessment and permitting. SHELL E&P Ireland has lodged an objection with the Environmental Protection Agency over a revised emissions licence for the Corrib gas terminal in north Mayo. Shell originally sought the revised emissions licence as part of a commitment to Erris fishermen. However, it has objected to certain conditions set by the agency in its proposed “determination”, issued last month. Residents also lodged objections with the agency, which has yet to decide if an oral hearing should be heard. Shell secured its original integrated pollution prevention and control licence in November 2007, after an oral hearing into one of the key consents for the Corrib gas project. Erris fishermen, who objected at the hearing, were concerned about the impact of emissions on the Broadhaven Bay environment. The fishermen refused to facilitate laying of the Corrib gas offshore pipeline until Shell committed in a legal agreement in August 2008 to change its marine discharge plan. The company originally proposed to discharge treated “produced” water containing chemicals from the gas terminal through an outfall pipe 2km north of Erris Head into a “diffuser” some 12.7km offshore. However, it promised the fishermen it would discharge through an “umbilical” pipe to the wellhead 83km offshore, while stressing that the original plan was safe. Responding to residents’ concerns, Shell said the use of the term “pollutants” was misleading and inaccurate and it was “unlikely” there would be a “detectable increase” in suspended solids into Carrowmore lake catchment in the new licence. Shell also said it was “incorrect” to say there was any increase in the quantity of produced water. It said Mayo County Council had confirmed an environmental impact statement was not required. The slow uptake of a Department of the Environment social housing leasing scheme can be attributed to local authorities being focused on selling, rather than renting, their vacant stock of affordable homes, the Comptroller and Auditor General said. Just 47 of 175 units approved for long-term leasing by the department were fully operational in June of this year, he said. The department decided to begin leasing rather than purchasing properties last year in an attempt to meet the State’s social housing needs and deliver a target of 27,000 new units agreed under the Towards 2016 social partnership agreement. Some €20 million was set aside for the purpose in 2009. The department put the slow start to the scheme down to lead-in time for any new initiative and the fact that not all properties available to it were suitable. “The department has also stated that the depressed financial markets together with the inclusion of a large number of property developments in the Nama process has militated against uptake of leasing arrangements,” the report says. The comptroller’s report concludes that the cost of leasing and purchasing were broadly the same. Labour housing spokesman Ciarán Lynch, who has been a long-time critic of the scheme, said the only true beneficiaries of the arrangement were the various developers whose residential units were currently lying vacant. THE CONSTRUCTION company co-owned by Westlife singer Shane Filan has been given the go ahead for a €3 million development in Dromahair village, Co Leitrim. Leitrim County Council had refused permission for the three-storey building incorporating supermarket, gym and creche on the main street but An Bord Pleanála has overturned that decision. Earlier this year Sligo-based Shafin Developments, which is owned by Filan and his brother Finbarr, got permission for a 50-bed nursing home in Dromahair. The company also got the go ahead for an 80-bed nursing home and a “neighbourhood centre” comprising shops, apartments, creche and a medical centre in Sligo. Fine Gael councillor John McTernan expressed disappointment with the planning board’s decision, saying the development, which was the subject of more than 60 objections, was not needed in Dromahair and would damage the viability of two other supermarkets in the village. The company has been given the go ahead to demolish a hotel and restaurant and proceed with the development, but the permission is subject to 18 conditions. Cllr McTernan said given the impact of cross-Border shopping in the area, it would be very hard for the two existing family-owned supermarkets to survive if this project proceeds. The board found that given the central location of the site in Dromahair, the established use of the site for commercial use and the pattern of development in the vicinity, that the proposed development would not seriously injure the amenities of the area or the vitality or viability of property in the vicinity, and would be acceptable in terms of traffic safety. This is the second time the board approved this project. An earlier decision was stalled after it emerged that one objection had been mislaid during the process.Shafin had argued that the proposal complied with the Retail Planning Guidelines, the County Retail Strategy, the County Development Plan and the Dromahair Village Framework Plan and that the proposed retail floor area of 370sq m was modest in scale in the context of guidelines. 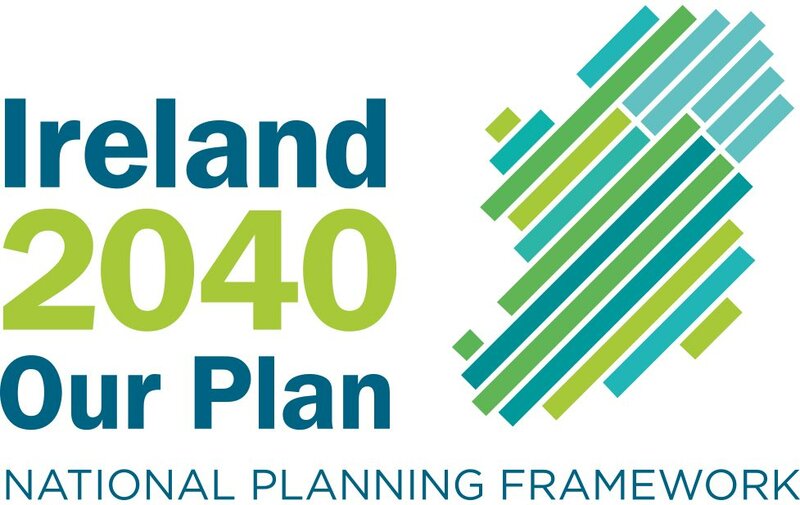 WEXFORD COUNTY Council is expected today to adopt a new local area plan for Gorey, thereby confirming decisions by local councillors to “de-zone” almost 300 acres of land zoned for development in the controversial 2002 plan. As there has been all-party agreement among the five councillors at Gorey district level on the draft, which has already been out for public consultation, it is anticipated that the full council will formally approve it and the new plan will go into force. The “de-zoned” land includes some 36 acres at Raheenagurren owned by former Fianna Fáil councillor and one-time minister of State Lorcan Allen as well as land owned by former Fine Gael councillor Deirdre Bolger’s husband’s firm, J Bolger and Co. So much land was zoned for residential development in the 2002 plan that it could have accommodated a sixfold increase in the town’s population. At the time, councillors were told that up to 70 per cent of the new residents were coming from Dublin. The population of Gorey has grown from about 4,500 a decade ago to nearly 8,000. It is home to the country’s largest second-level school, with over 1,600 students. A new school has been approved and is scheduled to open in 2012. The latest decisions made by Gorey councillors, which would also result in a significant increase in land zoned for educational and recreational uses, are in line with new planning legislation that provides for more “sustainable” land-use zoning. Cllr Malcolm Byrne (FF), who had been highly critical of the 2002 local area plan, described the latest version as “a much more balanced and sustainable plan”, saying that it still provided over 200 acres zoned as residential where building had yet to occur. Meanwhile, he expressed concern that council officials were taking a “too cautious” view of plans to deal with coastal erosion at Kilpatrick, north of Gorey, where Dublin-based entrepreneur Harry Crosbie was refused permission for a rock armour revetment. The Kilpatrick Sandhills, designated as a Special Area of Conservation (SAC) due to the presence of sandmartins, are subject to serious erosion. “Storms during the winter of 2006/7 saw about 15 metres of the coast collapse into the sea,” Cllr Byrne said. “I strongly support Mr Crosbie’s move as it is clear some form of barrier against the sea is necessary, and almost all locals share that view,” he added. The council’s decision to refuse permission is currently before An Bord Pleanála and a ruling is expected shortly. NATIONAL POWER supplier Eirgrid has moved to reassure residents of Rush, in north Dublin, that they have no reason to fear installation of high-voltage power line under the village’s main street. The €600 million electricity interconnector between Wales and Ireland is being landed at Rush’s North Beach and will be carried through the village in a heavy-duty plastic duct, buried one metre below the street surface. Last month, in response to concerns expressed by Rush Community Council that it could represent a threat to public health and safety, Minister for Communications, Energy and Natural Resources Eamon Ryan asked Eirgrid to re-examine the route. But the company has pointed out that nearby Rogerstown Estuary is a designated Natura 2000 site and EU guidelines set down that any project having a significantly negative effect on such a site “may only be authorised in the absence of alternative solutions”. In a leaflet distributed to homes in the area and in local newspaper advertisements, Eirgrid says: “The interconnector is safe and in compliance with the national and international guidelines in relation to exposure to electromagnetic fields (EMFs). “The safety guidelines are more than 9,000 times greater than the magnetic field of the interconnector. The static magnetic fields from the interconnector are actually less than the earth’s natural magnetic field”, the company maintains. “An Bord Pleanála has considered submissions on health in relation to the interconnector and decided that there were no public health concerns. . . If there were any health risks, the project would not have received planning permission,” it says. Eirgrid’s leaflet also points out that there are more than 300km of high-voltage underground electricity cables in Dublin city, including residential areas, while other sources of direct current (the type used in the interconnector) include Dart and Luas. A road opening licence would be required before digging and “therefore no residents are at risk of accidentally digging up the cable”. Work would also be completed quickly, at the rate of 30 to 50m per day. Eirgrid’s leaflet also notes that it will be making a “community contribution” of €100,000 to Fingal County Council, of which 90 per cent had been “ring-fenced for Rush”. More detailed information is available at interconnector.ie and the project team can be contacted by phoning 1890 364656. Is it illegal to fell a tree in our garden?